The Lössl-Uhr (Lössl-Clock) is a technical gem in Bad Aussee. The public clock designed by Friedrich von Lössl was originally powered by changes in atmospheric pressure and temperature. Worldwide it is the only remaining exemplar of this kind of Lössl-Clocks. Due of too much vibrations evoked by the traffic nearby the clock works with electrical power now. 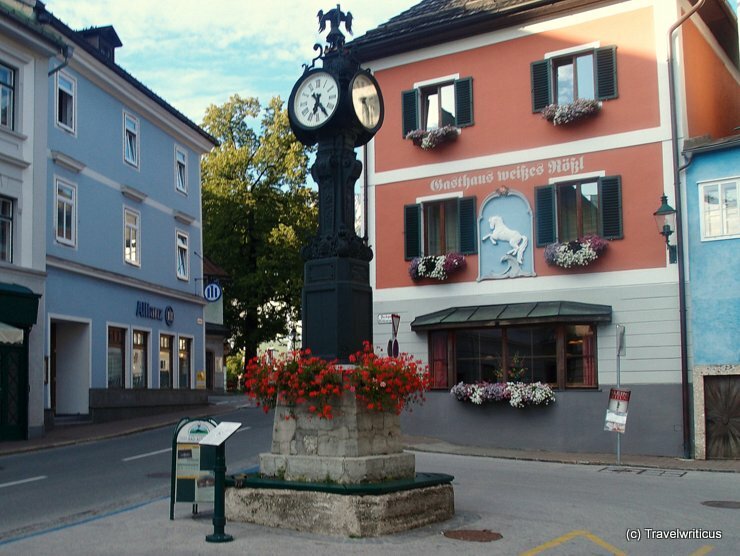 This entry was posted in Public Clocks and tagged Austria, Bad Aussee, Styria by Travelwriticus. Bookmark the permalink.